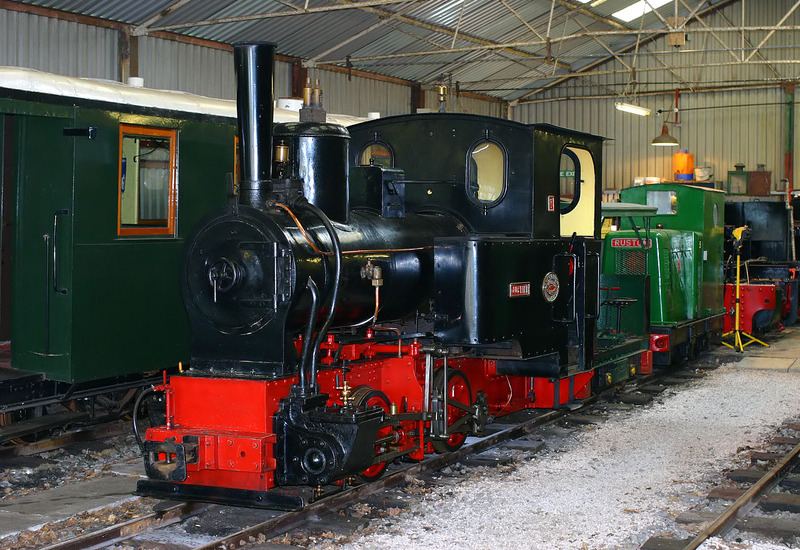 0-4-0WT Justine rests inside the shed of the two foot gauge Toddington Narrow Gauge Railway on 25 April 2011. She was built by Arnold Jung of Germany in 1906 and used in a wide range of industrial applications on the continent, before coming to England in 1975. Behind her is 1953 built Ruston & Hornsby 0-4-0 diesel mechanical shunter 354028, with the partially dismantled 1936 built 181820 (also by Ruston & Hornsby) at the rear of the shed.